A sudden meeting of a Man and a Woman begins a hypnotic act – a game of pleasure and discomfort. 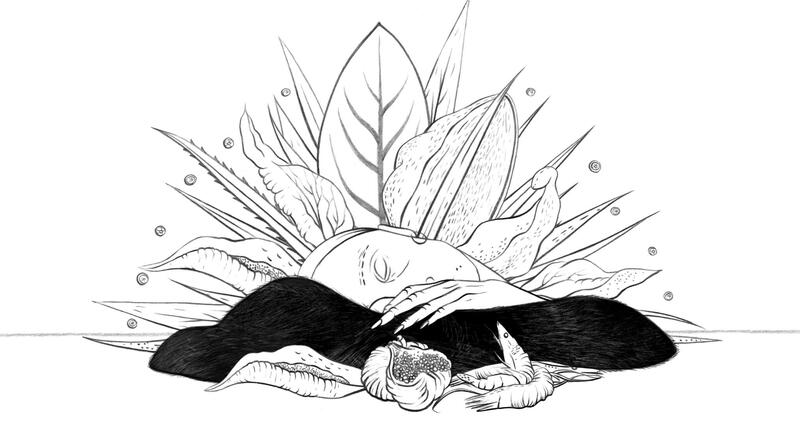 “III” is a portrait of a woman in an exhausting relationship with a man, which allures and repulses at the same time. GFM: For our readers who have not yet had a chance to see Time to Go, please would you introduce the film and talk about where the inspiration for this story came from? 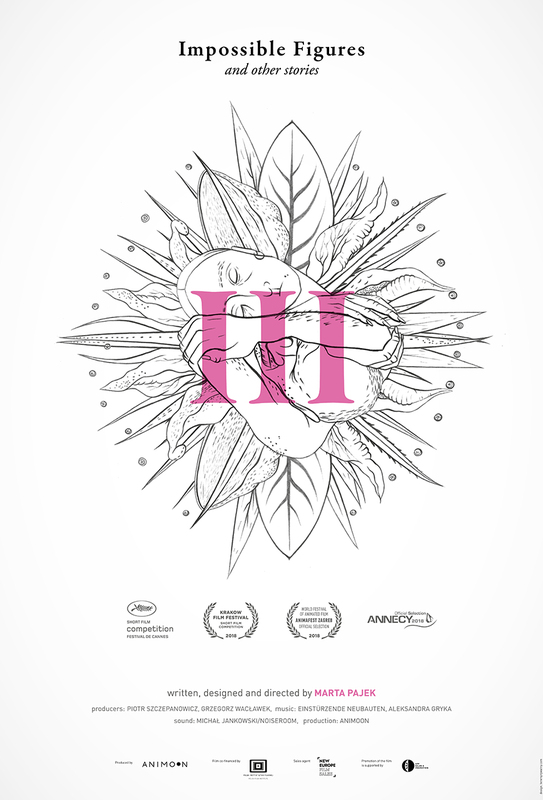 GFM: For those of our readers who have not yet seen III, could you introduce your film? Marta: III is part of a film triptych called “Impossible Figures and other stories”, which consists of three short animated films. Each of these films is based on the concept of an impossible figure, a figure that you can draw according to all rules of perspective and geometry, and it seems like a real object, but if you would like to construct it in reality, it would prove impossible. Each of these stories is an impossible story, something that seems simple but the deeper you get into it, the more paradoxes and illusions you encounter. And III is a love thriller. GFM: As a viewer, I feel that your films take me to a dream-like, subconscious kind of state. Is there any kind of throughline to your films that you would characterize your work with? Marta: One thing is that people often notice the presence of the motif of sleep in all of my films, like in my previous film Sleepincord, which was all built around the activity or passivity that sleep brings. The Impossible Figures triptych is more inspired by the logic of dreams – the specific way in which images are combined in our imaginations, and in which they bring us to places that we find frightening or explain. Those are the areas I like to explore. I also want to give the audience a structure open to interpretation. A story which opens itself for the viewer’s sensitivity and experience and creates something new. GFM: What is your approach to music and sound? Both seem to play a very important role in your films. Marta: Well first of all, I was studying at the Academy of Fine Arts in Kraków when I started to make animated films. I was taking the class of Professor Jerzy Kucia, who is one of the Polish masters, and music plays a really important role in his narration, especially the rhythm and the way that it organizes the whole story. So that was my big influence. GFM: What is your process for developing the story of your films? How do you get from initial idea to finished film? Marta: I usually start with a concept or even a visual or motif. I use this motif to organize the things that interest or intrigue me at the moment of writing the film. So for example, in Sleepincord, I started with the idea of the line – the thread that connects two or more worlds and that builds the images. That’s a kind of building material both for those worlds and for the story. And in the case of Impossible Figures, this concept of the impossible figure is a very strong metaphor and it inspired me to write stories which would resemble it. For example, the idea of relationship, or the home, or society. They are simple at first, but the deeper you get, the more difficulties, illusions, etc. appear. GFM: You’ve made several short films and had success in this field. What is your feeling toward the short film format and its role in your career? Marta: I think it’s a bit different with animation than with live-action, because for many live-action directors, the short film is a step towards a longer form, whereas for me, and I think for many animated film directors, it’s a form that can be developed and perfected throughout the whole career. I also think that with the film language that I use, which is kind of dense and includes many motifs and symbols – this is the perfect length. A feature would not work well with this kind of approach. That is the reason why I chose to make a tryptic. II wanted to explore a bigger subject, but I didn’t want to make a feature-length film. GFM: What does being accepted into the Palme d’Or competition mean to you and for the future of the film? Marta: Oh. The future will show. I have noticed a great deal of interest in the film already, even before the premiere, which really surprised me. I didn’t expect such a big buzz around it. So I hope it will do well and draw an interest to the whole triptych. To part two, which has already been made, and to part one, which I will start to work on in the autumn.